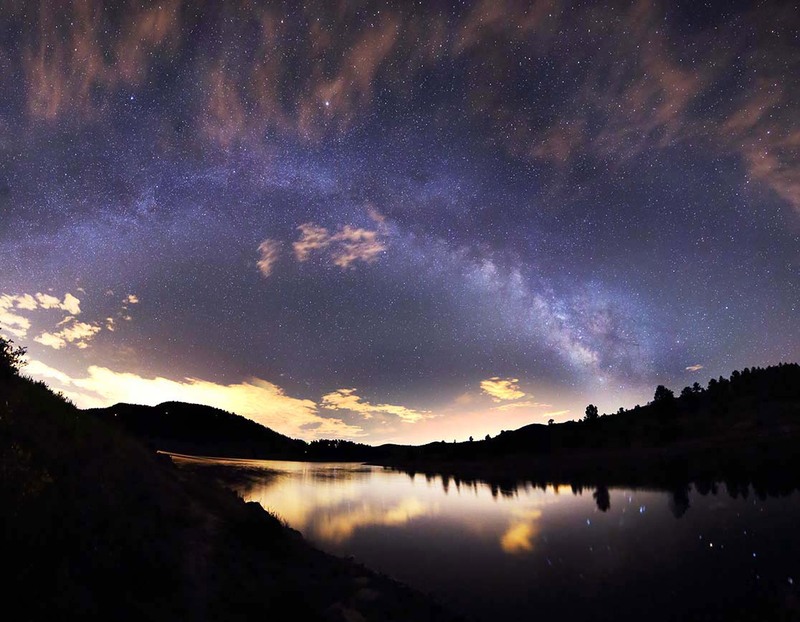 The Summer Milkyway shines over Pinwood Reservoir. July 16 2015, West of Loveland Colorado. Canon 6D 14mm lens f/4 Mosaic of 16 second exposures.